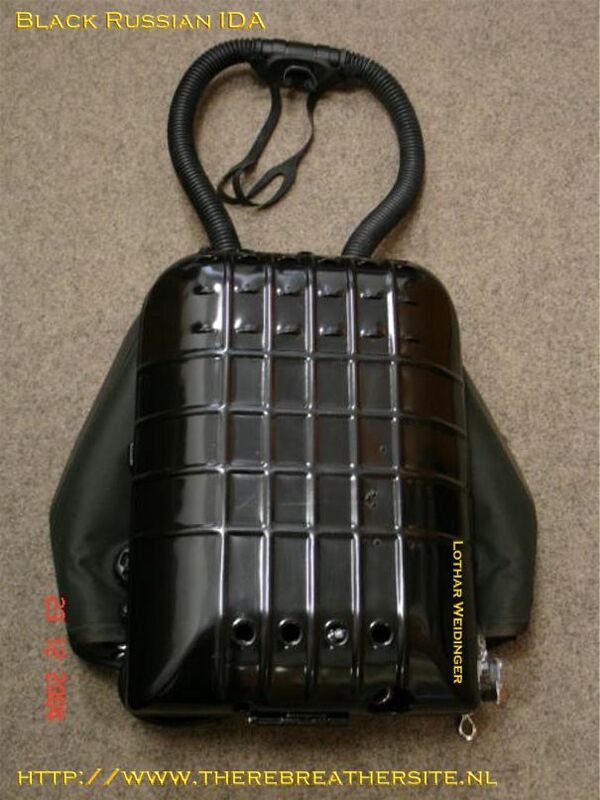 The housing is a black powder painted. It looks like new. 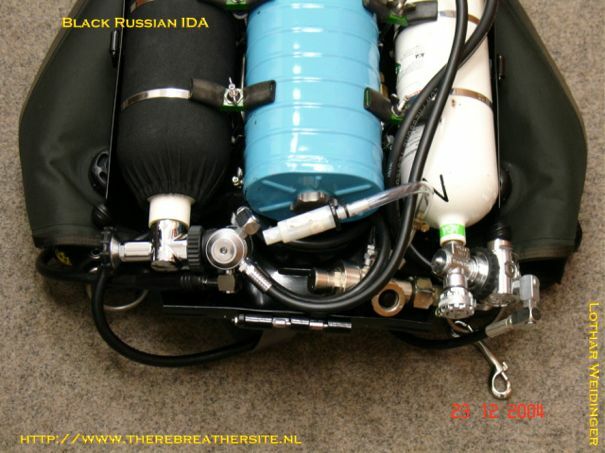 It is designed as a MCCR with CMF valve equipped with 2x2 l cylinders, one for Oxygen and the other one for Bailout/BC-Inflation/Dry-suit-Inflation (Air). 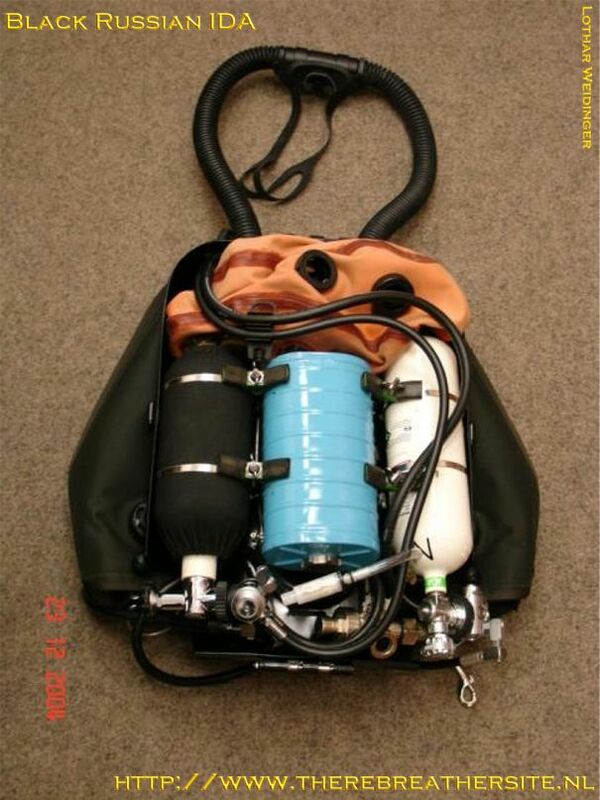 I planned for deeper/ longer dives to use an extern bailout (3-l-Aluminium, side-mounted) with Nitrox 50. 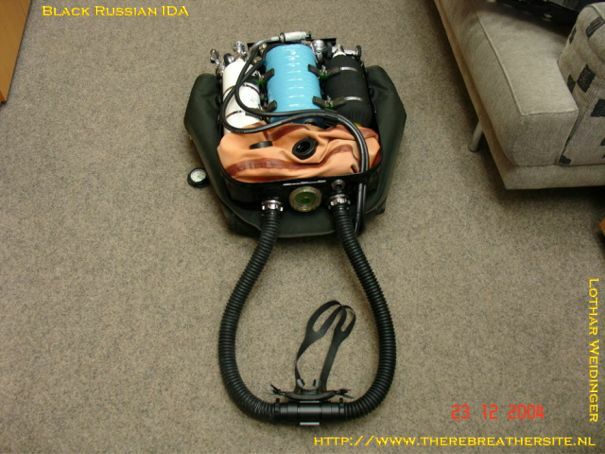 The Oxygen-mass-flow comes, how in all my rebreathers, from a RG-UF/M regulator. The one-hand-mouthpiece is from Submatix. For ppO2-controlling I use two Oxygauges. 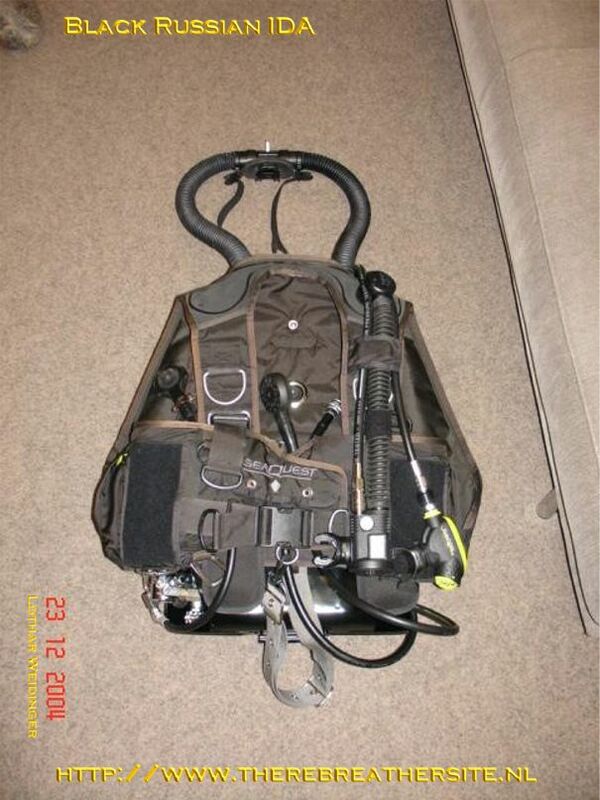 The BC-Jacket is a weight-integrated old Seaquest Black Diamond. 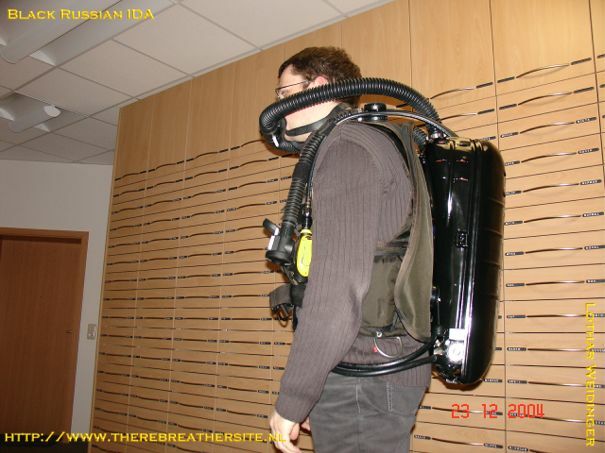 There is also the possibility to breath (OC) from the oxygen-cylinder in depths up to 6 m.
Lothar, thanks for the contribution to my web!